Custom engineered to secure your vision in any goggle or spectacle with our field-tested Rx inserts. 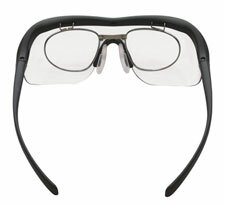 Allow yourself a large field of view, with securely mounted, rugged and reliable prescription ready frames. Custom engineered; sized, shaped and angled for each goggle or spectacle to enhance your confidence, safety and task performance. Rx insert snaps in and out. Frames are finished with a revolutionary two-step polymer shield protective coating. Pioneering Bridge modules absorb impact energy for added strength and lens retention. Features compression lock screws for guaranteed lens retention. An Rx insert that is as comfortable as a standard pair of eyeglasses. OSHA compliant and meet VO ballistics impact requirements. 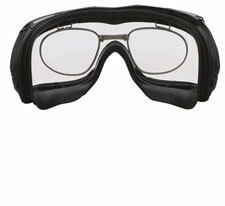 "For the past few weeks I have been using your prescription eye gear insert and prescription lens for the AGA mask. I want you to know that this device has been long in coming … This insert is a very welcome addition to my diving equipment. The insert is extremely easy to install and adjust, and it doesn’t require any tools. The lenses are of high quality … Thank you for making such a device for the AGA mask."